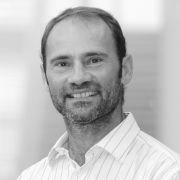 Philippe Delquié is a Berlin School faculty member teaching risk management and strategic decision making. His research blends behavioral studies and analytical models to study risk attitudes, the use of real options and information to mitigate risk, and managerial decision processes. He has developed customized executive seminars for leading companies in a wide range of sectors on five continents. Philippe Delquié holds MS and PhD degrees from the Massachusetts Institute of Technology, and a Civil Engineering Diploma from École Nationale des Travaux Publics, Lyon, France. Currently an Associate Professor at the George Washington University, he has held faculty appointments at INSEAD France, École Normale Supérieure de Cachan in Paris, Duke University’s Fuqua School of Business (visiting), and the University of Texas at Austin. He has published in leading academic reviews, including Management Science, the Journal of Risk and Uncertainty, the European Journal of Operational Research, and Organizational Behavior and Human Decision Processes. He serves on the editorial board of the Decision Analysis journal.